In the cryptocurrency space, there is never a guarantee for success whatsoever. Despite the price potential, any individual market may display at any given moment, there is not necessarily a direct correlation with the price. In the case of the Electroneum price, the current momentum doesn’t seem to affect the value in a positive manner. That is a little bit unusual, although there is a chance things will turn around sooner or later. "Electroneum Price is in an Odd Place"
In this volatile Crypto industry, it is always pertinent to keep the bigger picture in mind. When Bitcoin BTC Maximalists might not necessarily pay much attention to the thousands of altcoins on the market, the rest of the community is looking at things from a different perspective. 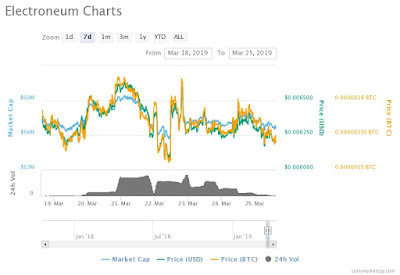 As far as Electroneum ETN is concerned, there are plenty of recent developments which could effectively yield a much higher price in the near future. So far, the Crypto market has not responded to these developments in a promising manner, though. Over the past 24 hours, the Electroneum price has dropped by 0.34% in USD value and lost 1.5% in Bitcoin value. While the current price levels of $0.006437 or 157 Satoshi are still pretty solid, it seems to be a matter of time until something changes. 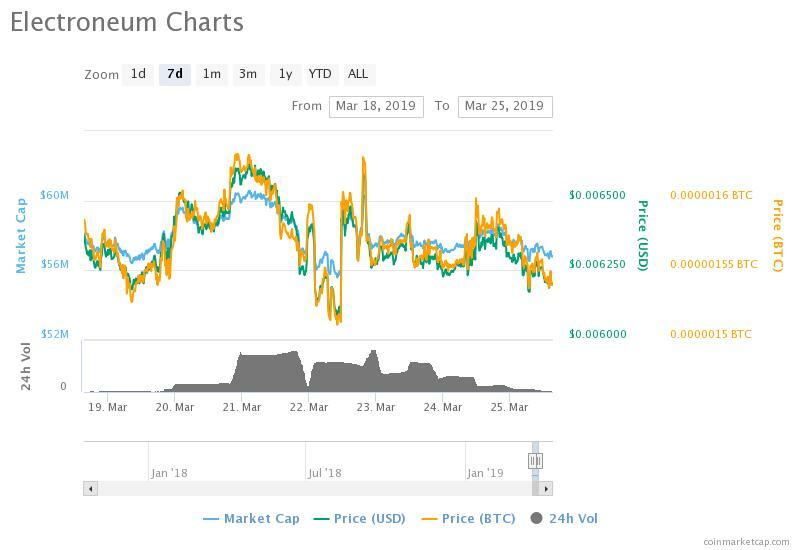 One would expect Electroneum’s increased trading volume of nearly $13m to help matters move along, but that is not the case at this time. It is a sign of how the recent Huobi exchange listing is helping this market value gain more liquidity. The big news of the week is how the Electroneum M1 blockchain based smartphone can now be purchased from Amazon in the United Kingdom. Although the device isn’t available through Amazon in most other countries as of yet, there is a good chance it will come to the US and other major regions fairly soon. In terms of ensuring Electroneum gains mass adoption, this turn of events could have some very interesting consequences moving forward. There is also a chance Electroneum could be added to Lite bit in the near future. While Electroneum remains to be seen if the company will acknowledge the community’s interest in this regard, there is always a good chance something will happen sooner or later. Litebit exchange has positioned itself as a relatively important gateway for cryptocurrencies in Europe as of late. They could also provide more fiat money gateways for Electroneum ETN, which can help improve the market cap ranking in the process. Last but not least, one Electroneum community member has started to print merchandise which is ETN-themed. While it remains to be seen in crypto space if these products will ever become available for mass purchase, it is a very interesting initiative regardless. Spreading the word about any digital currency is always an uphill battle. Clothing stores and other forms of merchandise may prove to be rather assistful in that regard. Although the current Electroneum price is still in the dirt, for the time being, there is a chance things could turn around at any given moment. With Bitcoin BTC and other top coins in the market showing some minor bullish signs, it is usually a matter of time until all alternative markets benefit from this particular trend as well. For Electroneum, the coming hours may prove rather crucial, although no one knows for sure how things will evolve exactly.